Work Package #1 has been completed and that this is the final report. We thank everyone for their input. We will be undertaking the process to rezone the area as quickly as possible. We look forward to working with the landowners of the study area of Work Package #2 over the course of the summer. On April 10th Council hosted a presentation of the draft plan for work package 1 of Maggies Place Development Plan by Tract Consulting. The meeting was attended by about 50 residents and had a constructive discussion that has influenced the draft plan. Revisions are currently being made for Councils consideration based on the feedback. Please click here for a copy of the April 10 Draft Plan Presentation. April 3rd Update: Due to uncertainty of weather tonight and road conditions the scheduled meeting for Maggies Place Development Plan is being postponed to Monday, April 10th. We want to ensure that everyone is able to get out to the meeting safely. The location and time will remain as Murray’s Pond Fishing and Country Club 7 p.m. Welcome to the page dedicated to the Maggies Place Development Plan Project. This page will be the source of all information for the project as we proceed through it. This information package summarizes and answers all the issues and questions to date. It will be sent to residents the week of March 6th. After two launch meetings were completed in January the Town will now look for more comprehensive input from stakeholders and residents in a series of engagement meetings. A special mail out will be sent to residents and landowners in the area prior to the meetings. This meeting will be a highly engaging and constructive workshop to determine the priorities of residents and stakeholders for the area. Facilitated by Tract Consulting, the room will be broken down into groups to identify what is important to them and then groups will do a mapping exercise for the entire area. The information obtained is critical input for the planning of the area. Various meetings with stakeholders, primarily landowners, in the area will be scheduled throughout the day and evening. Information from the Public Workshop will be shared and further information gathered to support a draft plan. Notifications of schedule of the day and times will be mailed directly to stakeholders the week of March 6th. A presentation of the draft plan will be presented to the public by Council and Tract Consulting. This draft will form the basis of the future evaluation and planning for the project and will be considered a collaborative plan with input from residents and stakeholders. 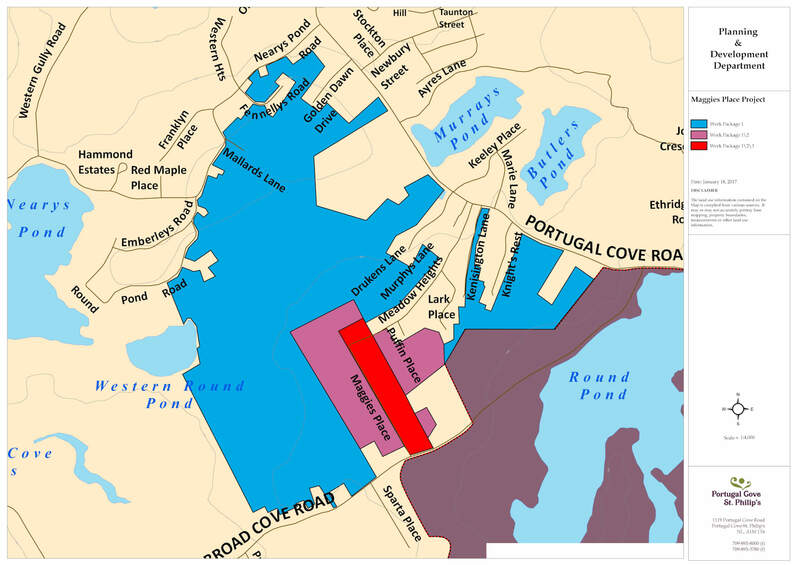 The Town of Portugal Cove-St. Philip’s has begun the creation process of a Maggies Place Development Plan. As a result of the Town purchasing a piece of land on Maggies Place, for the primary purpose of a Town Depot, water and sewer services will now be brought in through Meadow Heights to service the Town land. The expansion of services provide an opportune time to consider the future of the whole area,as servicing will now available to a larger area of previously undeveloped land. In addition much of this area was previously designated agriculture by the Province. This designation has been removed (but remains municipally zoned agriculture) and Council has committed to reviewing the zoning of the area to determine the best use of the land. This development plan is primarily a planning process that is meant to consider the area as a whole in terms of zoning, road network and future plans in conjunction with landowners of the area and the public. 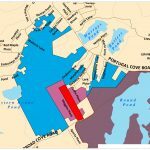 There are three individual work packages encompassing three overlapping parcels of land in the Maggies Place area. Council has contracted Tract Consulting to complete the project with a heavy emphasis on public engagement, both with landowners and the public in general. We engaged landowners of the area to inform them of the planning project and process on January 11th. Following that a meeting on July 18th was scheduled with the public to introduce the project to the community. These meetings were meant to launch the planning project. Meeting minutes and questions were taken and will be summarized and answered here in the near future. We are committed to comprehensive engagement throughout this process with a great deal of open public consultation. If you have any questions or comments please contact Jeff Lawlor, Director, Economic Development Marketing and Communications at [email protected] or 895-8000 ext 222.